Online Journal of Sudhir Parasuram (Lakkaraju): Bad Construction or Freak Accident ? Bad Construction or Freak Accident ? 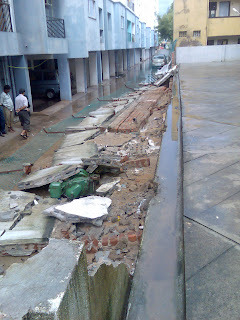 The compound wall between our apartment and the one behind us caved overnight (exact time not known to me). Makes me shudder when I think what would have happened in case it was evening time or so when kids could have been playing around, or for that matter anyone walking by. 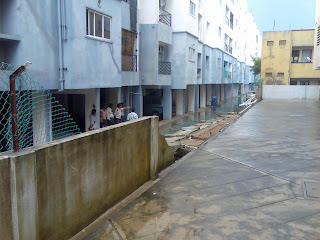 Incidentally, the builder is the same for both these apartment complexes and has also built the wall in between. relax, it's just a wall. Google Phone to arrive in India in December ?